Get ready for a new era in digital printing. With a Harlequin RIP core engine, advanced features and easy-to-use capabilities that make VersaWorks 6 the most powerful RIP software ever. And, best of all, it’s free to upgrade for Roland DG users! This latest version of VersaWorks RIP Software includes an extensive range of features to make the printing process more accurate and reliable for users, while building on the functionality and ease of use of existing versions of VersaWorks. 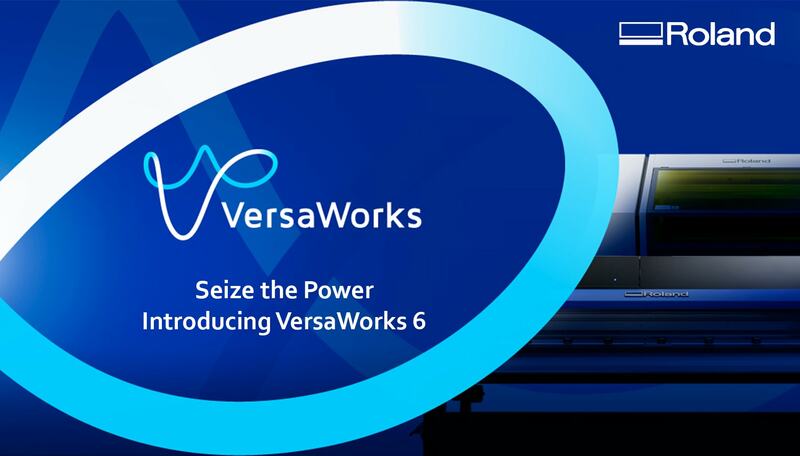 Maximise the power of your printer or printer cutter with the latest printing environment, with VersaWorks 6.